Are there any programs being run anywhere for Adults to learn to swim? In Cayman Brac yes but not sure about Grand Cayman. Nice young man! I know he will do a great job with the programme and more Caymanians need to become coaches as it can become your career. What do you mean by "all kids in the government system"? Is this all children in the Cayman Islands or all children whose parents work for the government or all Caymanian children or ????? CNS: It means all children in the government education system, i.e. those who go to the public schools, as opposed to the private schools. He is, of course, referring to children on Grand Cayman. 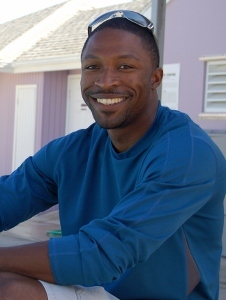 On Cayman Brac Michael Hundt has run an excellent after school swim programme for many years and the schools (all government on the Brac) also run their own programmes.